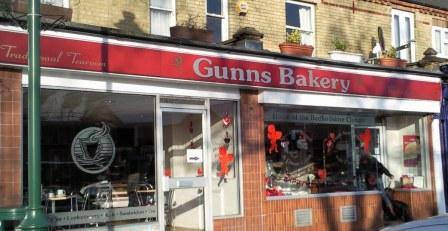 Gunns Bakery' principle shop is located in Sandy, Bedfordshire. Here we bake the bread, create the cakes and altogether run the company. This has been home for over 40 years and where you can purchase anything, make an order for a special occasion or even treat the kids to a birthday party! 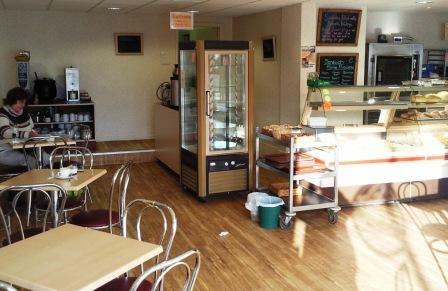 You can also enjoy sitting and relaxing in our adjoining 'climate-controlled' tearoom. Our second shop is located in Biggleswade. 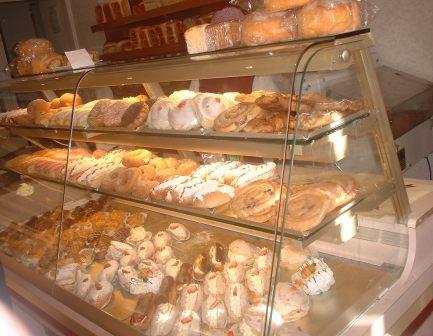 It is now over 30 years old and still serves its established customers daily with practically all of our products. 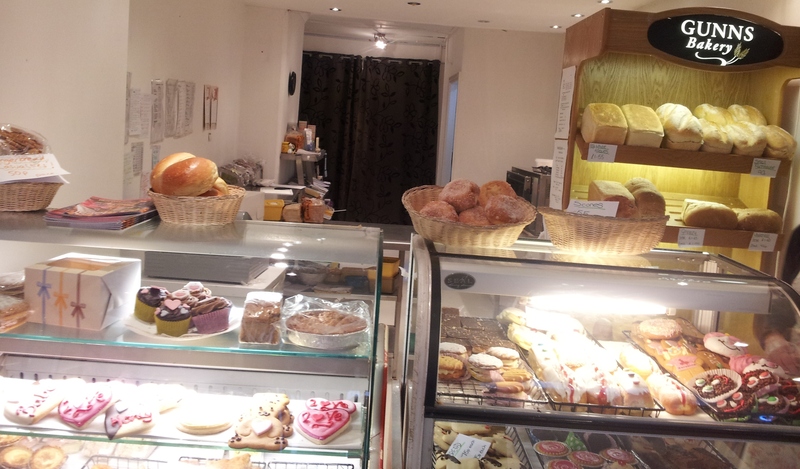 You can always be sure of a good welcome from Tracy and her team and know that they will offer their very best service to fulfil your bread, cake and savoury needs! Having been in St. Paul's Square for 15 years, we have recently moved around the corner onto the High Street, no 51 - opposite Lloyds Bank. 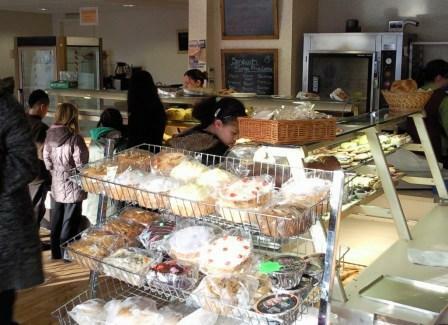 At last we are in a bigger, cooler shop much better suited to our trade and far more comfortable for our customers. Here we can not only bake off daily our savoury and sweet pastries but also when Debbie Gunns is on site we can demonstrate the decorating of our very popular Birthday Cakes. All our breads, particularly the GI multi-seed, and our range of flavoured breads are proving very popular especially on Wednesdays and Saturdays - Bedford's Market days! So pop in and get Rosie to make your favourite sandwich for lunch - she'll quite likely talk you into a nice cake for afters!